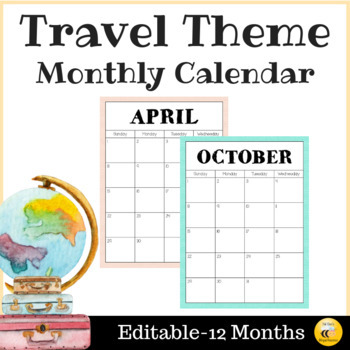 This editable 12-month calendar is perfect for a travel themed classroom! ✈ You may use the calendar to track important dates, assessments, data, etc. The calendar is a 2-page spread that can be placed into a binder for easy access.